Michael Robertson is an accomplished technology entrepreneur with a consistent track record of identifying promising trends often in disruptive sectors, building pioneering companies, and leading them to profitability and acquisition. Over his career he has raised more than $100 million in private capital and orchestrated transactions with a combined value of nearly a billion dollars. His technical and operational expertise has spanned industries as diverse as digital music, VOIP and Linux with notable companies including MP3.com, Linspire and Gizmo5. In 1997, Michael Robertson founded digital music company MP3.com. This company brought online music to the mainstream by amassing the largest collection of digital music and introducing it to millions of consumers. 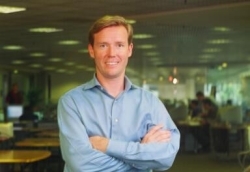 As CEO and Chairman Mr. Robertson raised venture capital from top tier venture capital firms Sequoia Capital and Idealab (now called Clearstone) and took the company public in July 1999 on NASDAQ with the largest internet IPO of all time. Within four years, MP3.com grew annual revenues to more than $80MM annually and sold the profitable company to the world's largest music company Vivendi/Universal. Linspire, a linux software company, was launched by Mr. Robertson in 2001 to take on Microsoft in the desktop operating system business. In addition to making Linux easy to use, Linspire pioneered the app store concept with it's Click-N-Run service which allowed users to browse a catalog of software titles and with a single click purchase (if required), download and install the software. Linspire was sold to Xandros Corporation who went on to further commercialize the app store concept. In 2005 Mr. Robertson entered the VOIP business starting Gizmo5, a telecom company enabling net users to make free or inexpensive calls over the internet. Gizmo5 supported the SIP telephony standard allowing users to make/receive calls from PCs, laptops, smartphones and VOIP phones. Gizmo5 raised venture capital from New York based firm Dawntreader. With Mr. Robertson as CEO Gizmo5 grew to more than 11 million users and to break-even. Gizmo5 was acquired by Google in 2009 and merged with its Google Voice division. Mr. Robertson is founder and former CEO of MP3tunes, a vanguard in personal cloud music. MP3tunes stored music fans personal music collections making them accessible from any net aware device including PCs, laptops, smart phones, internet radios and even car devices. Hardware partners include Logitech, Nokia, Roku and Clarion. Worried about rapidly rising college costs and student debt, Mr. Robertson founded the non-profit REEF, the Robertson Education Empowerment Foundation. $2 million was distributed to students to explore new funding methods for young people to attend college and avoid massive debt. In addition research was done to determine the value of college to the average student. Mr. Robertson is a long standing board member and financial supporter of the San Dieguito Boys & Girls Club. He holds a bachelors degree from the University of California, San Diego in Cognitive Science.